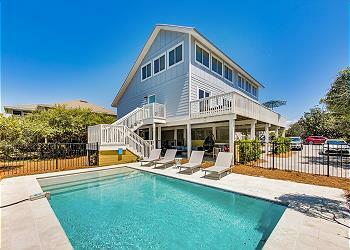 When you book your Grayton Beach vacation rental, you are sure to enjoy one of the more distinct and unique lifestyles on Scenic 30A. Grayton Beach is the cozy, artistic, funky beach on 30-A where everyone is friendly and things hardly ever change. The streets are lined with trees and covered in oyster-shells, store signs are nothing short of spirited artwork, and the natural beauty of the area is incomparable. One of the great benefits of booking your rental in Grayton Beach, FL is access to one of the area's agricultural gems, Grayton Beach State Park. This State Park is an outdoor enthusiast's dream spot, stretching 2,200 acres through sand dunes, scrub oaks and one of the largest dune lakes in the area, Western Lake. There are two trails to hike and bike along, as well as the dune lake, a perfect spot for kayaking or a little stand up paddle boarding! Along with agricultural landmarks, Grayton Beach is home to one of the most well-known watering holes on Scenic 30A, The Red Bar! For years locals and visitors alike have enjoyed a cocktail with a large order of live music on the side. The eclectic decor, the warm and friendly vibe from all the patrons, and the always promising talent playing some tunes all swirl together to provide a unique evening experience every visitor to a Grayton Beach vacation rental should enjoy! Relax and enjoy your next beach getaway when you stay at 44 White Sands Unit A. 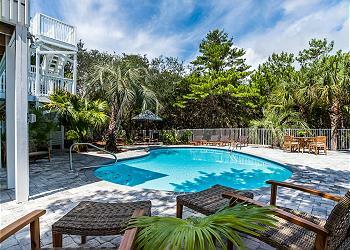 This serene 4 bedroom home boasts dazzling Gulf views and a short walk to the Emerald waters of the Gulf of Mexico. Bring the whole family down to this fabulous Grayton Beach home which features its own private pool and a spacious screened in porch. 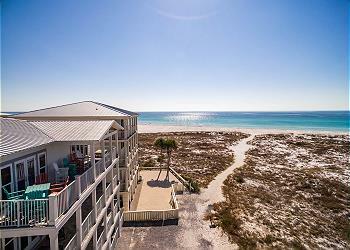 There is ample room for 14 guests and the home is a moment’s walk from the breathtaking beaches of the Emerald Coast! 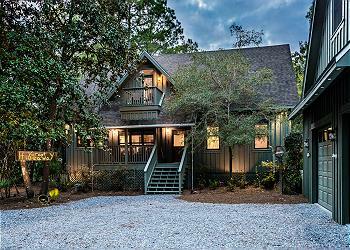 Secluded, recently renovated home in the laid back community of Grayton Beach! Lounge on the screened porch or walk to brunch at The Red Bar! If you're looking for a private getaway, this home is it!